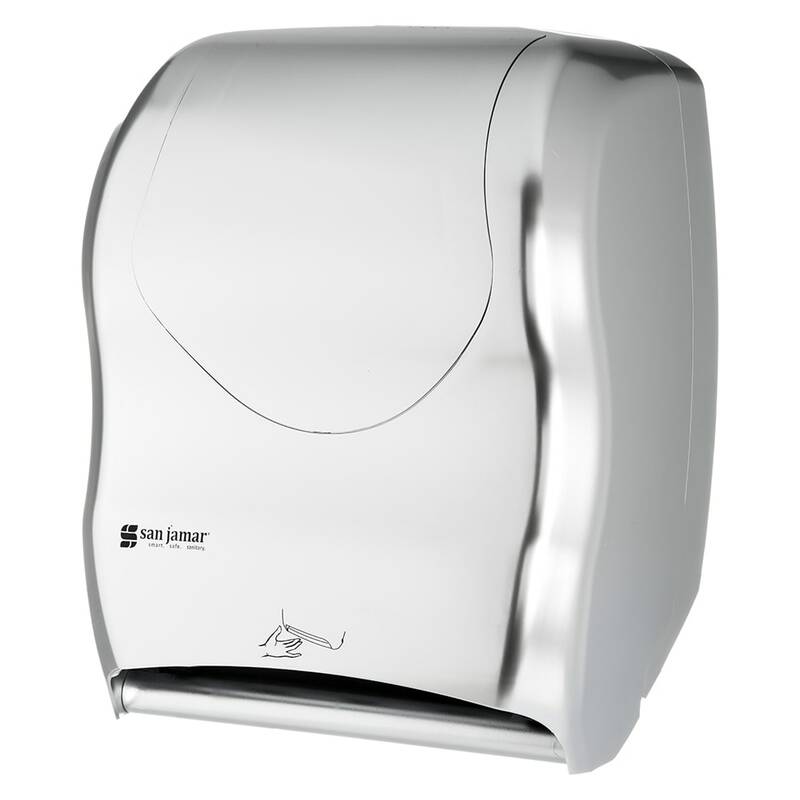 The San Jamar T1470SS paper towel dispenser is great for any restroom since it dispenses paper towels with a touchless design. 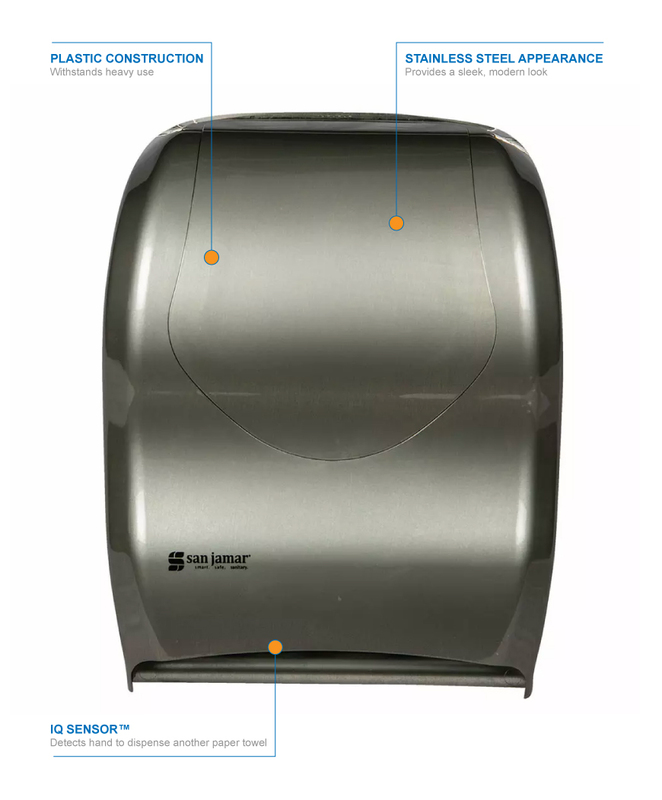 An IQ Sensor™ detects hands, so it can dispense a paper towel to the specified setting of 8, 12, or 16 inches. A delay can be set between each dispense time, ranging from 0, 11⁄2, or 3 seconds. Constructed of durable plastic, the dispenser is impact resistant. Paper length can be set to 8, 12, or 16 in. Paper delay can be set for 0, 11⁄2, or 3 sec. 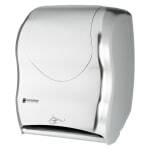 For more information on these dispensers, check out the paper towel dispenser guide.